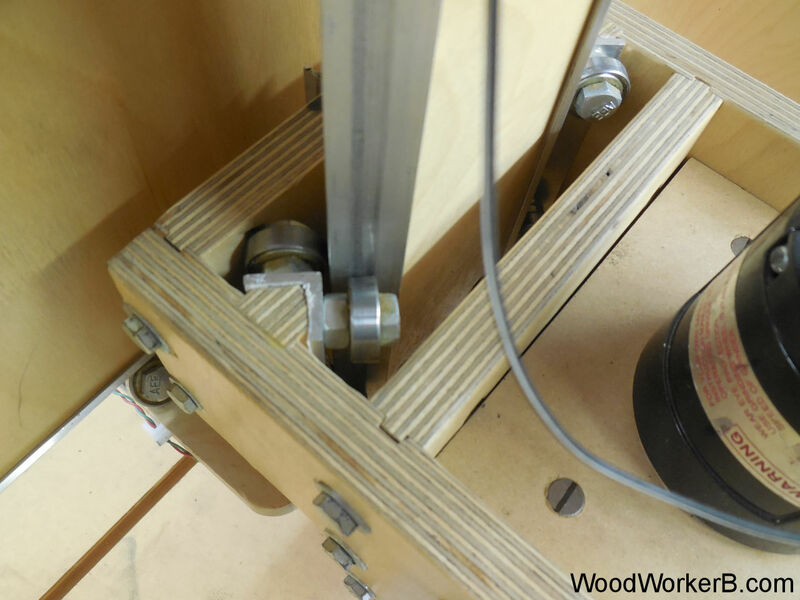 The DIY CNC Router Z Axis is the small carriage that goes up-and-down (the Z axis), and it holds the milling device (router, dremel, pen, plasma torch). 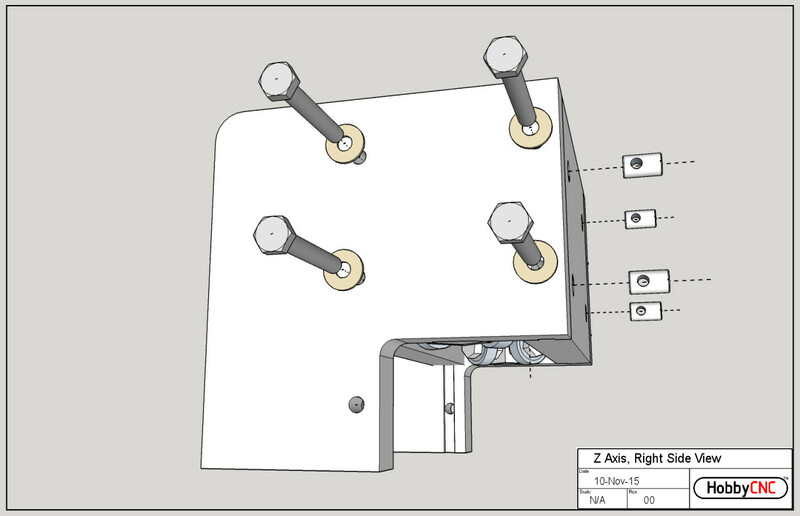 This design is modular in that it can be easily adapted to many types of milling devices by removing a few bolts and sliding in the new mount. 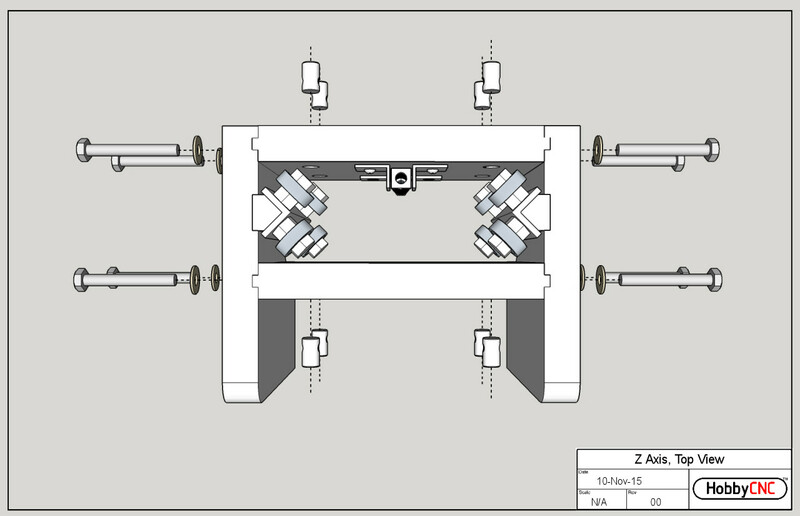 Error in drawing: The anti-backlash assembly actually mounts on the other side of the Z Axis Rear (3) plate. 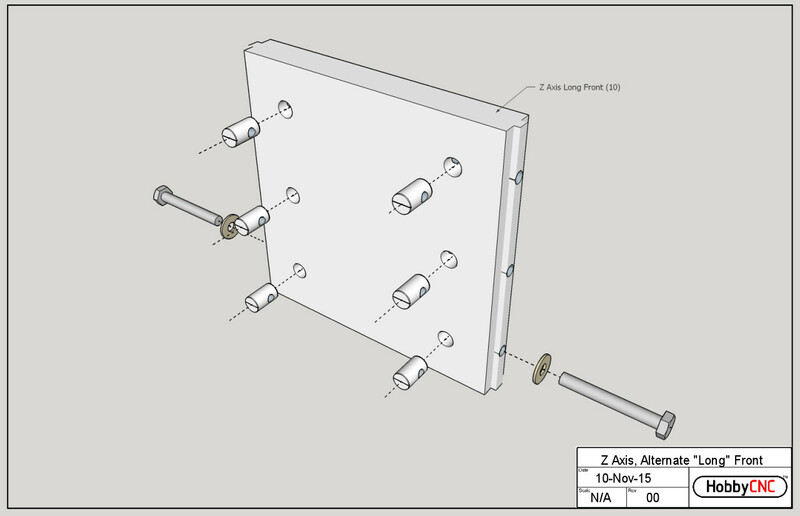 Close-up of the Front and Rear as well as the linear bearing. In the back you can see part of the Z-axis anti-backlash nut assembly. 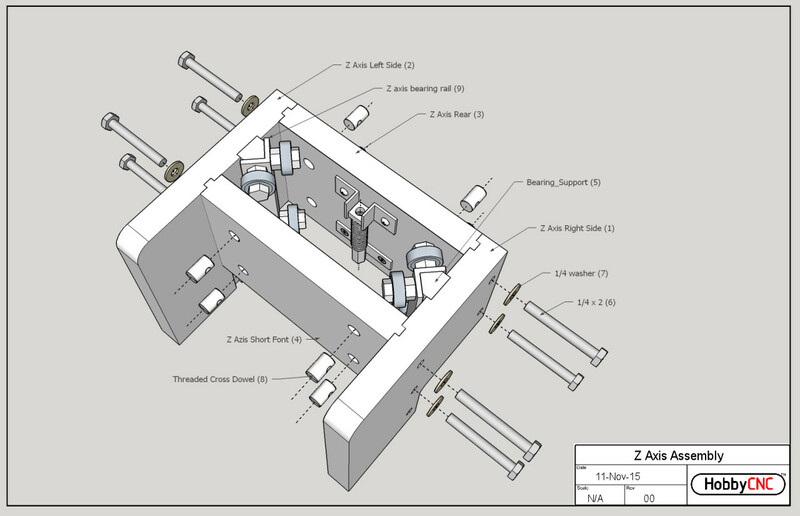 Probably not so important on the Z axis (since gravity already does a lot of the work). A more ‘front on’ view. 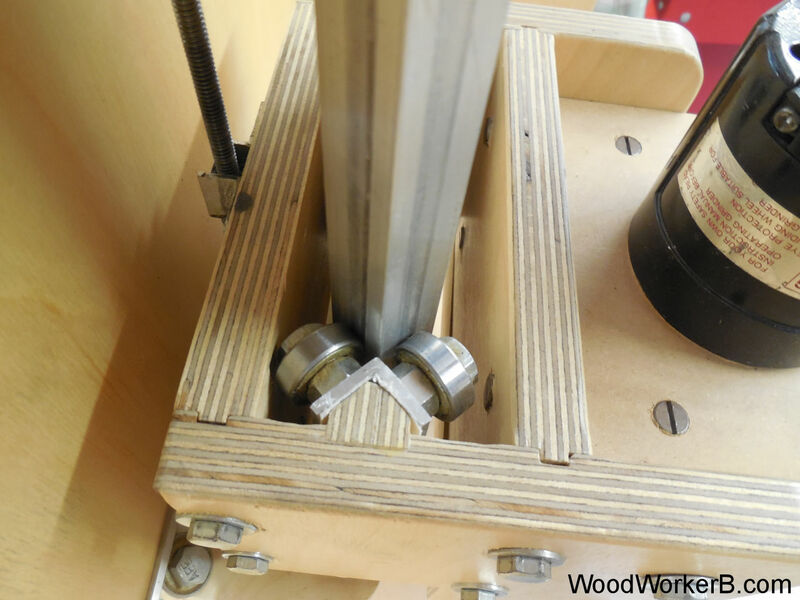 I have installed a spring-loaded pen assembly that I can bolt on the front of my Z axis to do test runs. 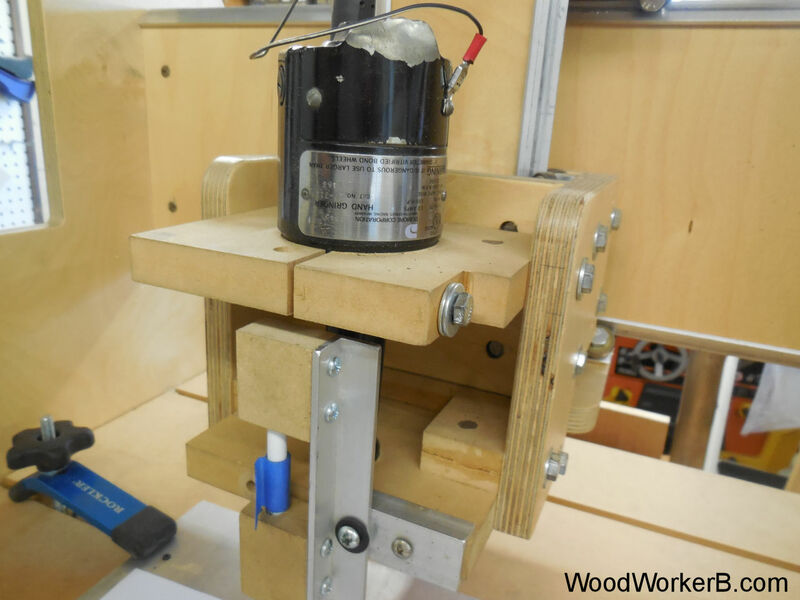 A very high quality die grinder is mounted here – I use this for isolation routing PC boards and engraving. Here you can see the flexibility of the design. I can unbolt the die grinder & mount and bolt-in my 1/2 HP router in under 5 minutes. The wire on the die grinder is my ground for when I do isolation PCB routing and I use a touch probe and an auto leveler software. Must another view for fun.